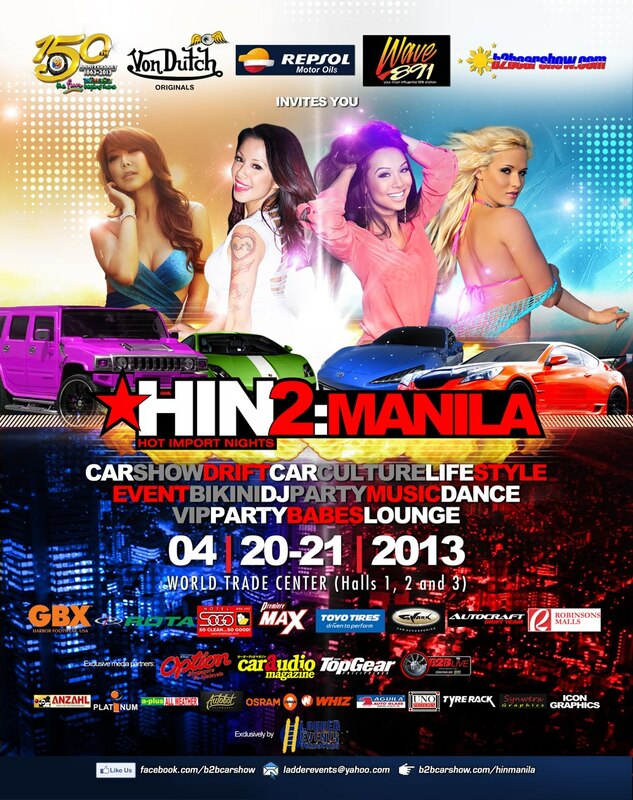 Still can't enough of HIN MANILA, that happened March 24 & 25, 2012? Don't get teary-eyed yet! We heard your prayers. The much awaited car show of the month, of the year Hot Import Nights, is back and packed with more awesomeness. Your summer will never be the same, so make sure that you're ready to take on the heat. Expecting a lot of fans will rejoice as more cars, babes, hot games and shows while your favorite music is being played on the background. Wait there's more.... International babes Eva Skye, Jeri Lee, Dannie Riel, Nicole Duminie will make the event even hotter than the weather. You think you can handle them? Tickets will also be available on site during the 2-day event. Advance ticket purchases will avoid any inconvenience caused by long lines.